I’m a Christmas junkie. I love the music, the decorations, the gifts, the parties, the family and friends, and of course…the CHRISTMAS MOVIES. Everyone has their favorites, mine being “It’s A Wonderful Life” and “White Christmas”, but let’s be honest, even the lousy ones still have some holiday charm. So when new entries to the Christmas genre come along, I jump to and get in line. All in their early 30’s, Ethan (Joseph Gordon-Levitt), Isaac (Seth Rogen) and Chris (Anthony Mackie) have been best friends since they met early in high school. It’s been 15 years since Chris’ parents were killed in a car accident, both Isaac and Chris stepping in. Some 15 years ago, they went out and partied on the day after, Christmas Eve, to help distract their friend from his horrific loss. And so a tradition is born! They’ve been celebrating for years, but things are a’changing. Chris has become a superstar athlete who’s instantly recognizable on the street, Isaac is about to become a first-time father, and Ethan….well, Ethan is struggling along, searching for some sort of happiness. The trio of friends has agreed it’s time to put their Christmas Eve-partying tradition to rest with one last blowout. Ethan has obliged, getting his hands on tickets to the ever-elusive greatest Christmas party in New York City, the mysterious Nutcracker Ball. Just the drinking, debauchery and drugs begin! So yeah, I love Christmas movies. Throw in a fun mix with the cast, some general holiday craziness and a not overdone story with a message, it’s a really good flick. It’s not tearing up the box office over recent weeks, but I definitely recommend it. Ho-ho-ho! Merry Christmas! 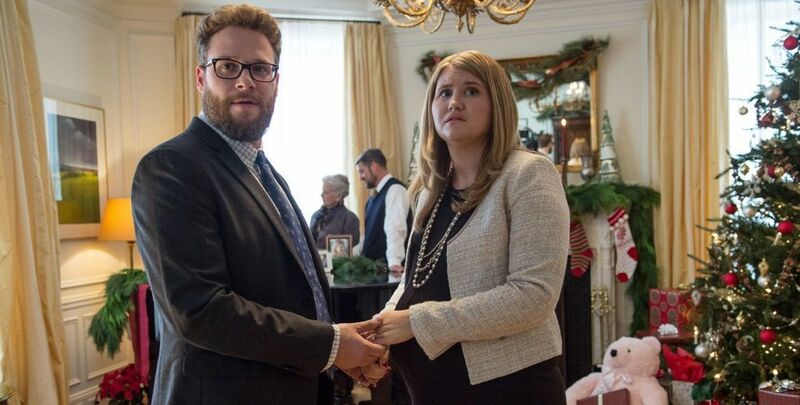 I watched this R-rated comedy from director Jonathan Levine (who also directed Joseph Gordon-Levitt and Seth Rogen in “50/50“) and liked it a lot. It was only on the ride home that I began to put the pieces together. What rang a bell? This movie is “Superbad” plus 10-years or so!!! An overnight story, friends with their own goals for the night, and a message about how growing up is difficult concerning your longtime friends. It’s freaking “Superbad”! None of this is a deal-breaker of course, just an observation. The overnight odyssey is a good story-telling technique, the entire story taking place over 18 hours or so, and with NYC on Christmas Eve as the backdrop, you can’t really complain too much. Throw in a fun soundtrack with countless nods and references to other like-minded movies – especially “Home Alone” – and you’ve got a winner. Heading into a movie like this, the one thing that may determine your enjoyment is how much you like the cast. I’m a big fan of all three stars, Gordon-Levitt, Rogen and Mackie, so I was hooked pretty quick. 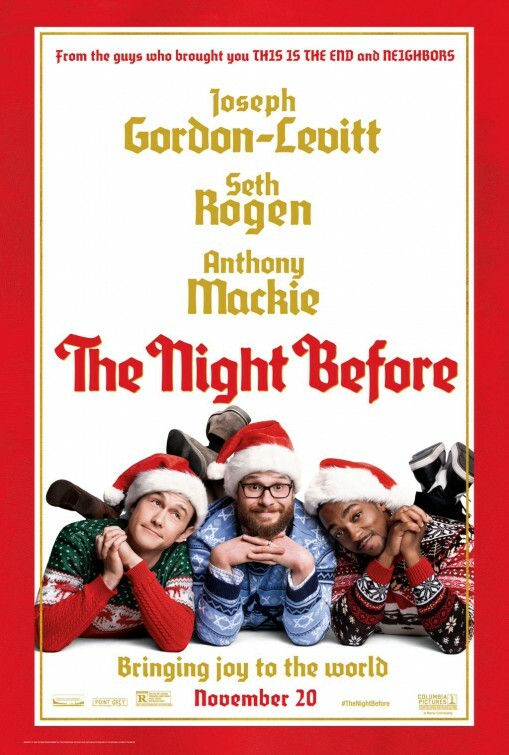 Gordon-Levitt’s Ethan is struggling along, looking for what he wants in life, Rogen’s Isaac is ready for a drug-fueled (wife-sanctioned) night out as his wife’s pregnancy fast approaches, and Mackie’s Chris is getting used to his new-found fame. I liked all three characters, their chemistry coming across as perfectly believable in the quieter moments. The flashback to their first Christmas Eve tradition is surprisingly moving considering the low-brow humor that permeates the rest of the story. Their history is revealed in snippets and tidbits here and there, providing some of the movie’s funniest moments. I’ll say I’m surprised the hate Seth Rogen gets. I like him a lot as an actor and as a comic actor. 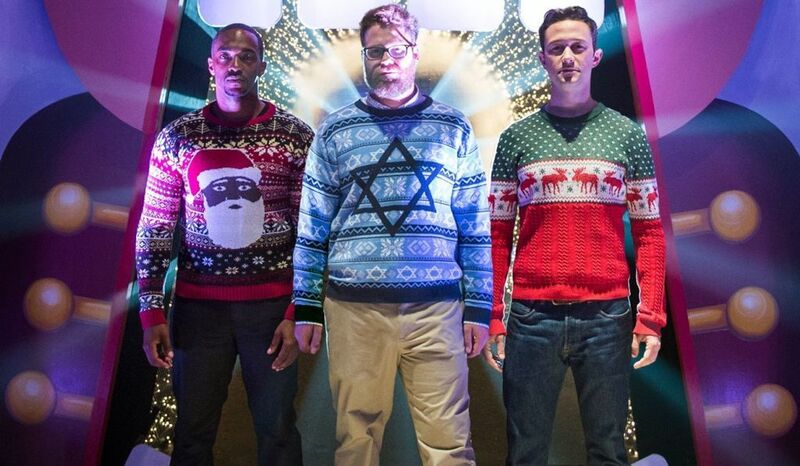 Here as father-to-be Isaac, he’s decked out in his Hanukkah sweater and outfitted with a small gift box of drugs, including weed, mushrooms and cocaine among other specialties. Years removed from a regular use, he FREAKS out as the drugs combine in his system. I was dying as the mushrooms counteract with the cocaine, sending Isaac on quite a trip. A lot of great laughs from Mr. Rogen! We need some more zaniness though around our Three Amigos, don’t we?!? 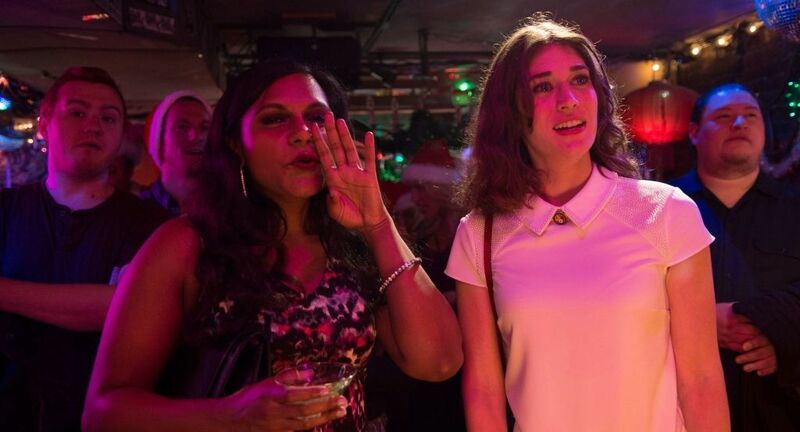 Also look for Jillian Bell as Isaac’s very pregnant wife, Lizzy Caplan as Isaac’s ex (it didn’t end well), Ilana Glazer as a real-life Christmas grinch, uncredited Mindy Kaling as Lizzy’s friend/drinking buddy, and Tracy Morgan as our narrator. James Franco is a scene-stealer in a one-scene cameo as himself (along with some uncomfortable texts) with Miley Cyrus and former NBA star Baron Davis also appearing briefly as themselves. By far though, the best supporting part goes to the always intense, always creepy Michael Shannon as Mr. Green, the boys’ drug dealer…who’s still a drug dealer 15 years later. His scenes are pitch-perfect, the wise supplier of weed who’s able to cut right to the core of things and really got to what’s bothering his customers. Hilarious part as Shannon plays it straight in each of his scenes. Like the trailers that bombard us now, I don’t want to give away too many good laughs so there’s nothing fresh when you actually see the movie. So as usual, I’ll leave you with this thought. ‘Night’ brings the laughs with a very funny cast and some surprisingly effective emotional moments. 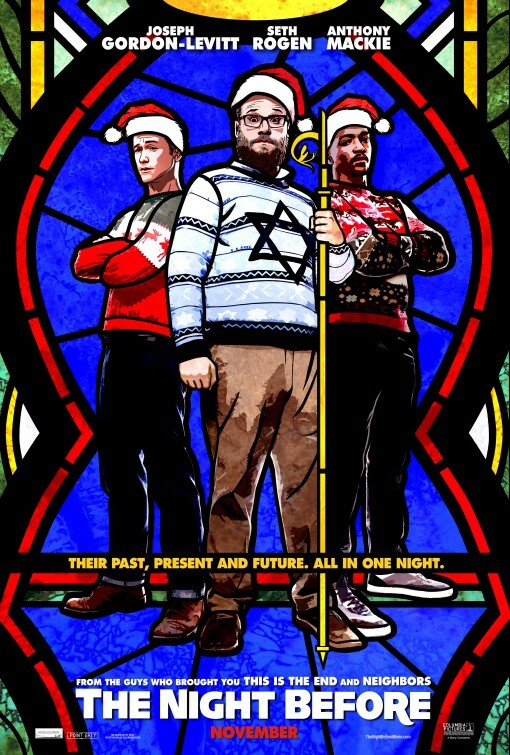 Highly recommended, a worthy addition to the Christmas movie canon.